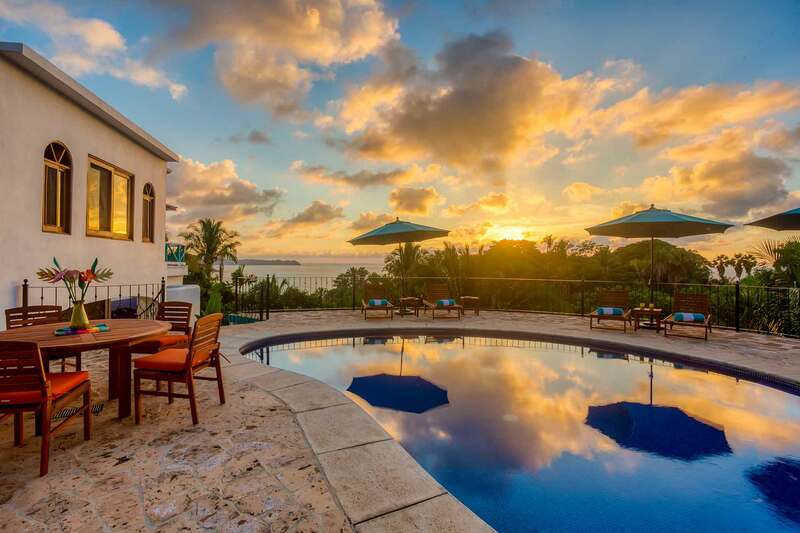 Note: Additional guests (up to 2) allowed for an additional fee of $50 per night each.  A mattress can be arranged. 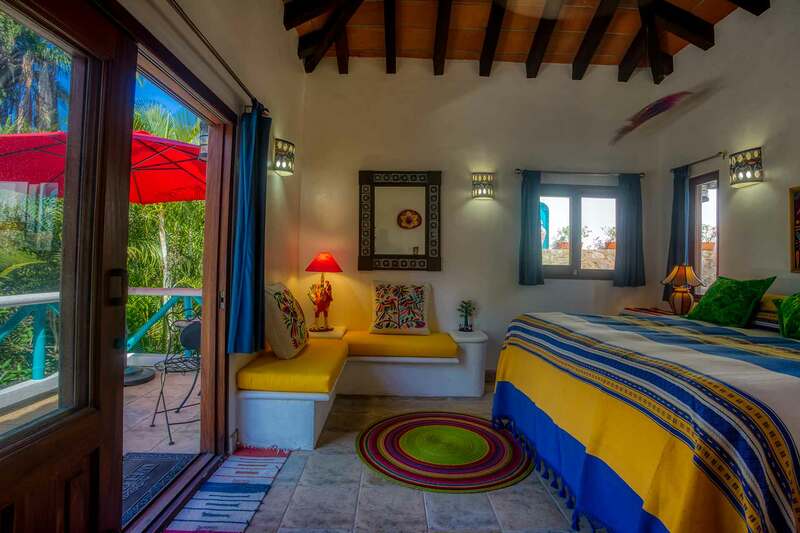 Casita Jamey is a jungle view, one-bedroom, en-suite casita with kitchenette and outdoor terrace. 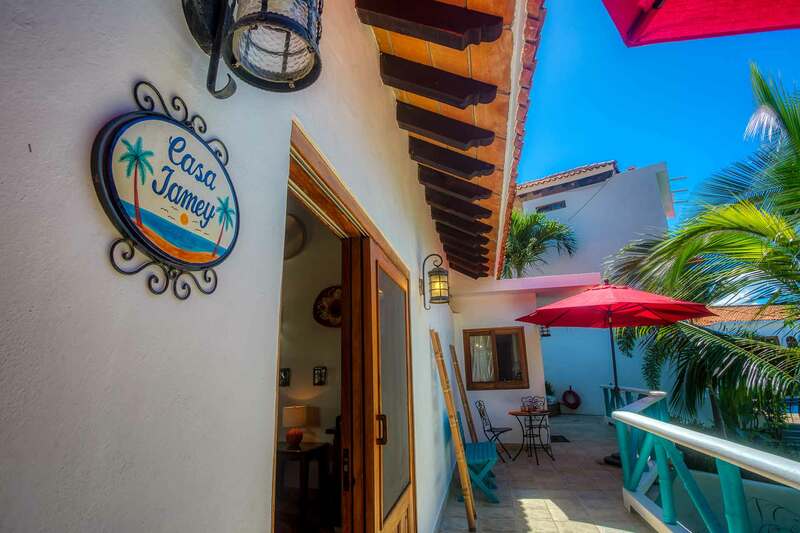 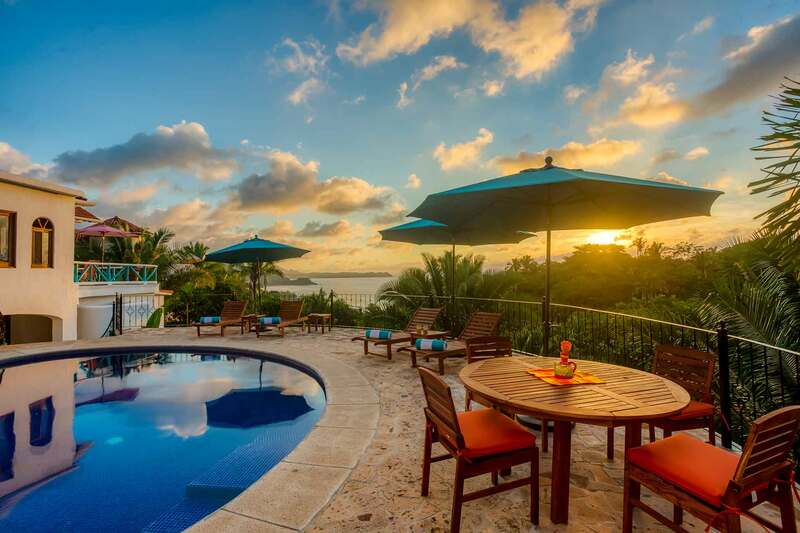 The casita is part of the Villas Catalina complex, hosting four private casitas with incredible ocean views throughout. 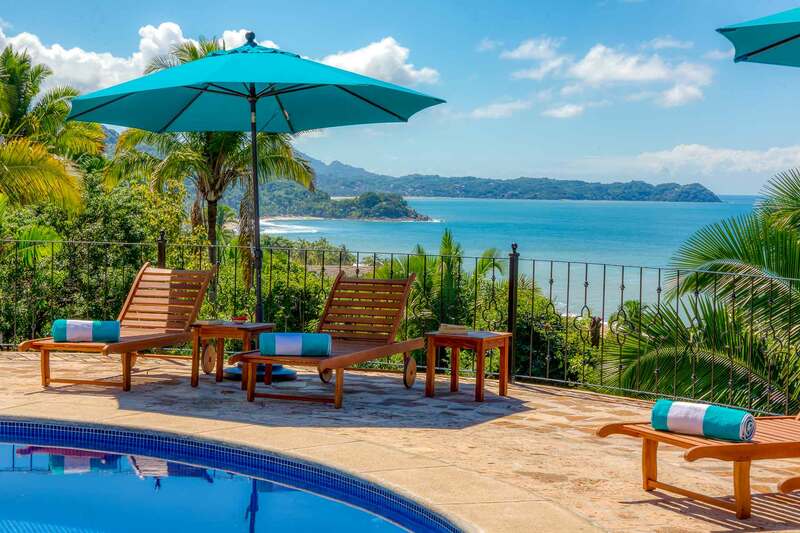 The casitas were built to host privacy while providing a grand, shared, ocean view pool terrace with lounge chairs and barbeque area. 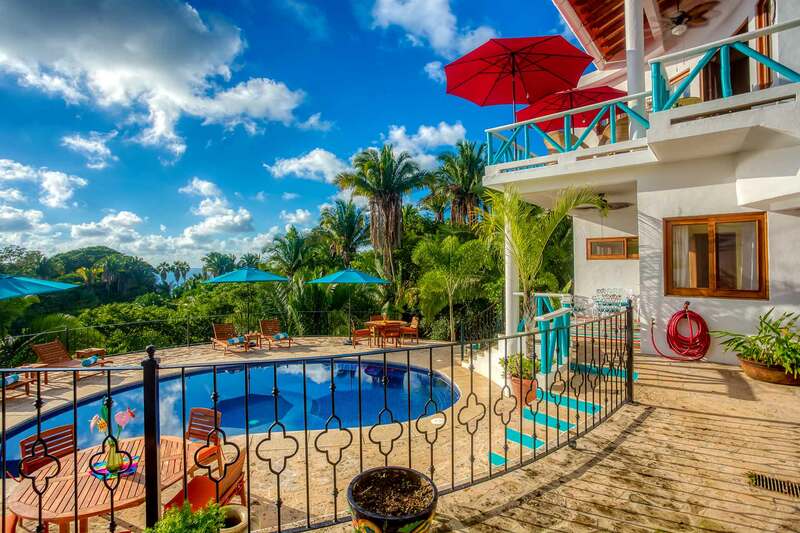 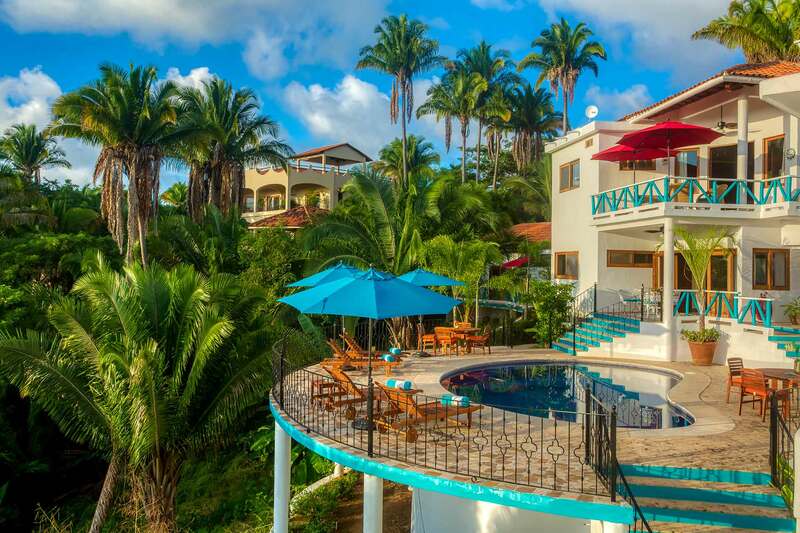 The Villa Catalina offers beauty and comfort while surrounded by soothing sounds of the ocean, tropical birds and the sea breeze. 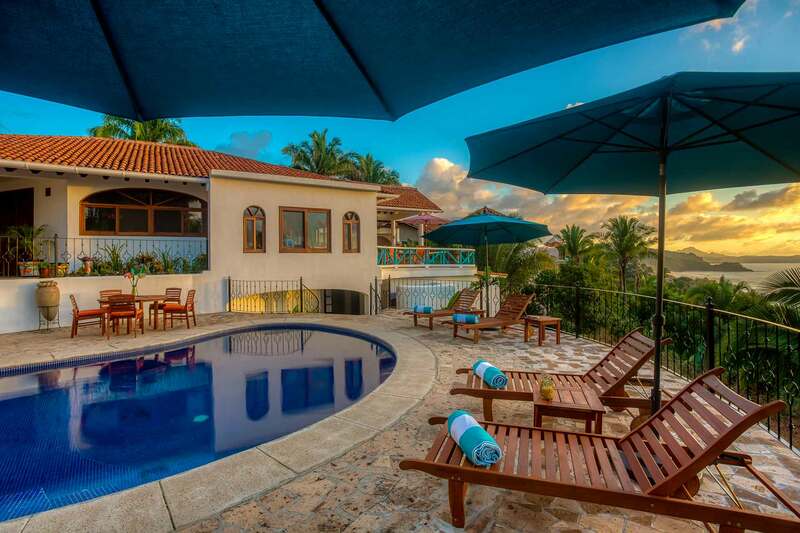 The entire property is gated, with private parking. 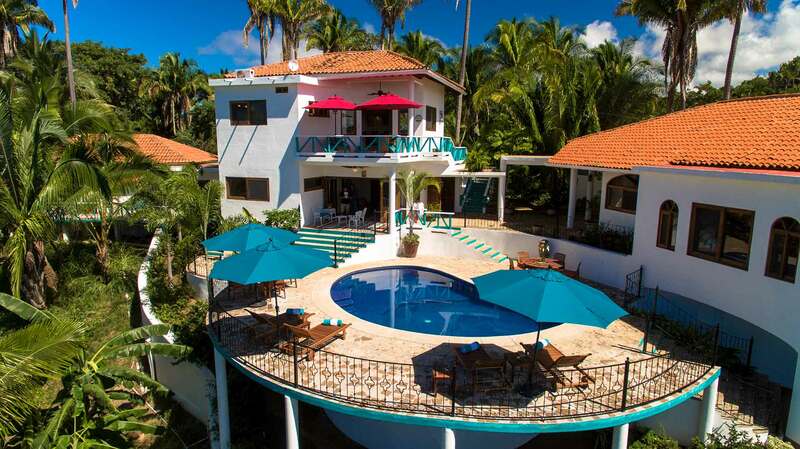 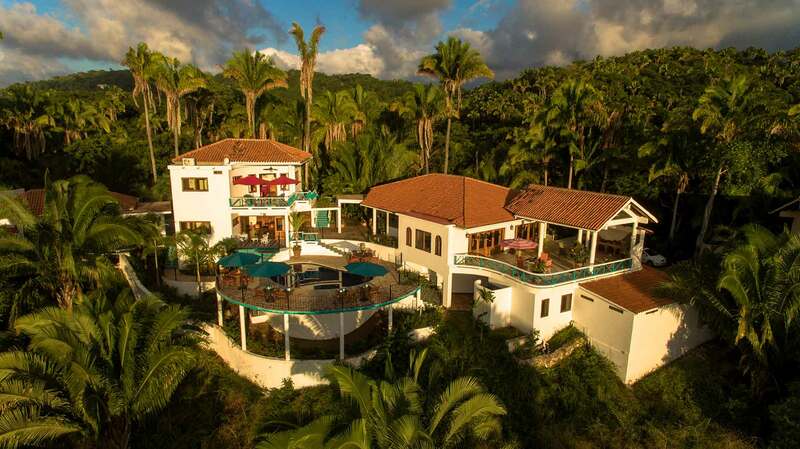 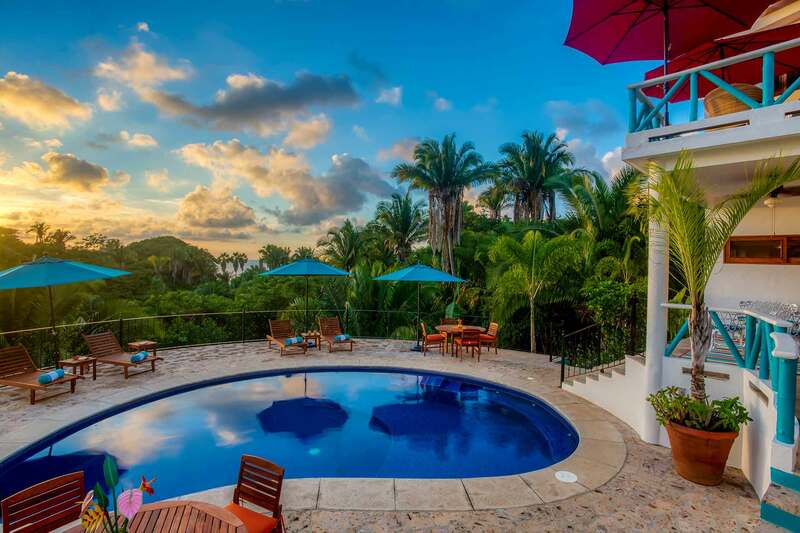 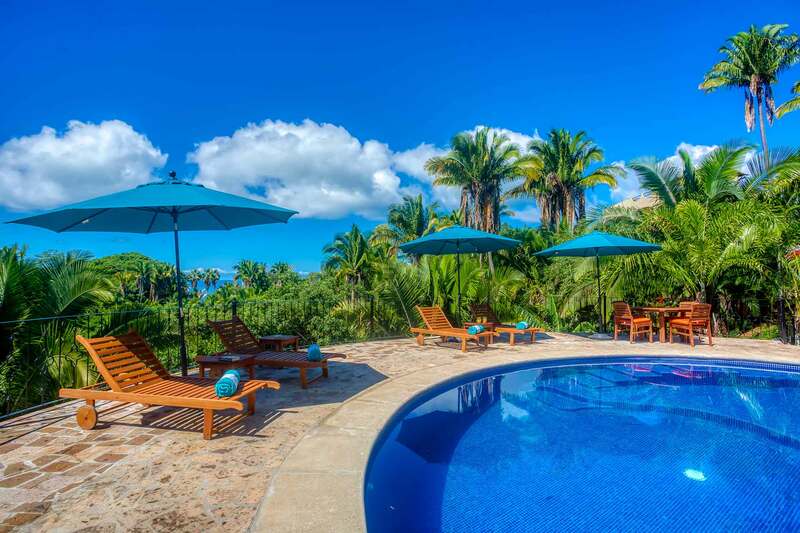 As you enter the main level you will immediately notice the large pool terrace surrounded by the lush, floral setting and expansive views of the San Pancho beach in the backdrop. 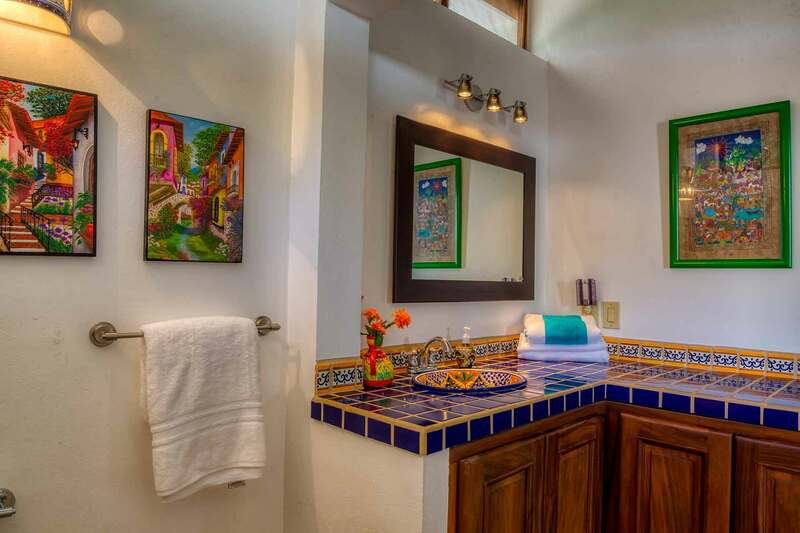 On the opposite side of the pool terrace are two en-suite, king casitas, Casita Tammy located on the entry level and Casita Avery situated above. 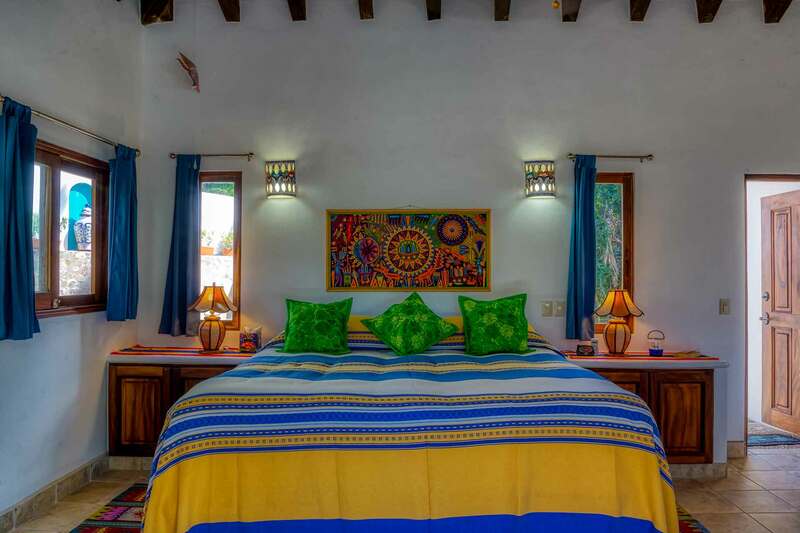 Across the courtyard sits the other two en-suite, king casitas, Casita Noelle and Casita Jamey, cozily situated in the lush jungle. 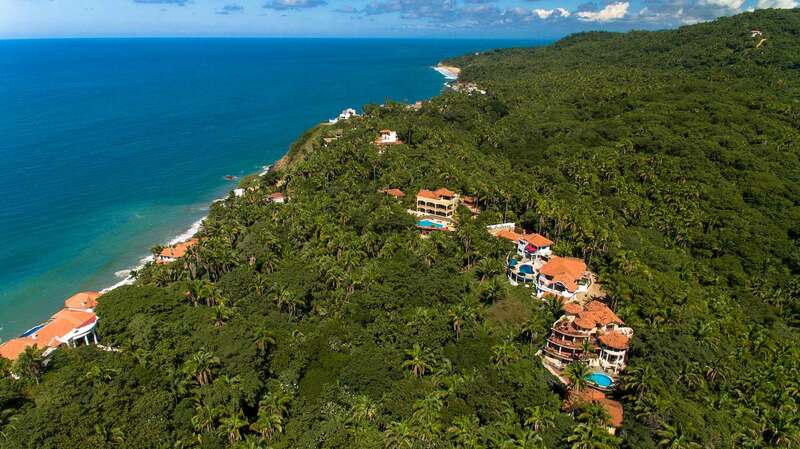 We invite you to come experience the views of the Pacific Ocean while nestled in the jungle of San Pancho. 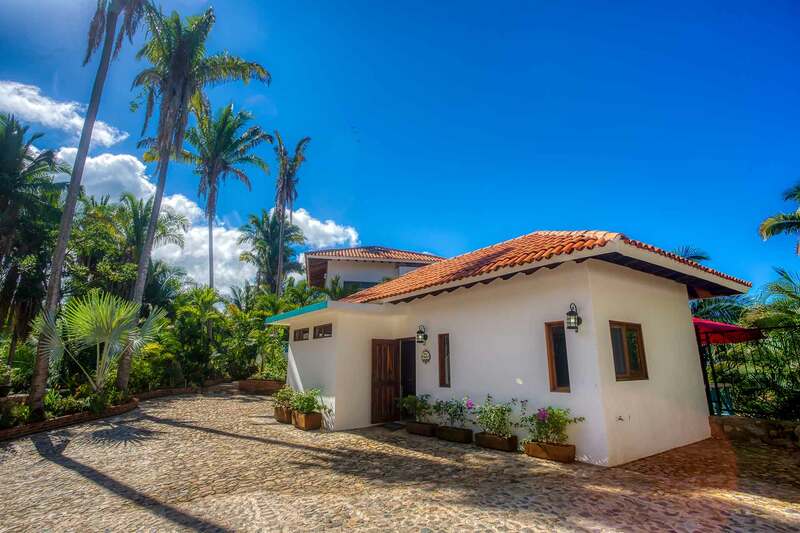 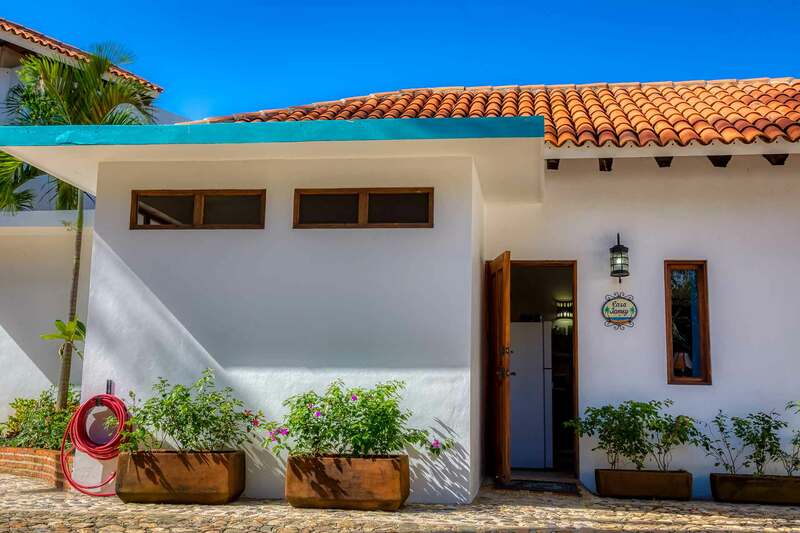 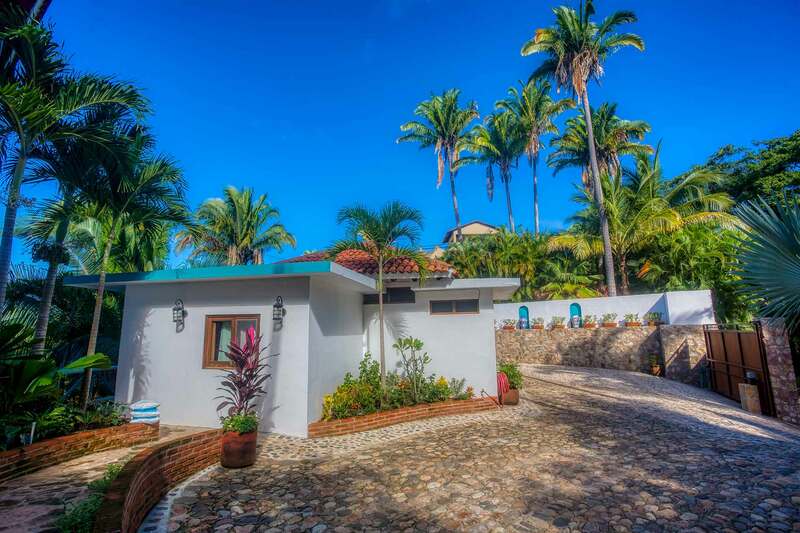 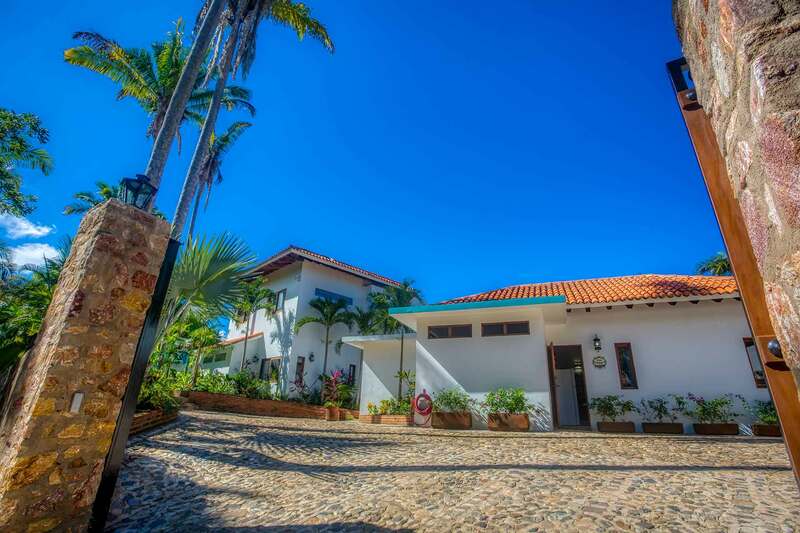 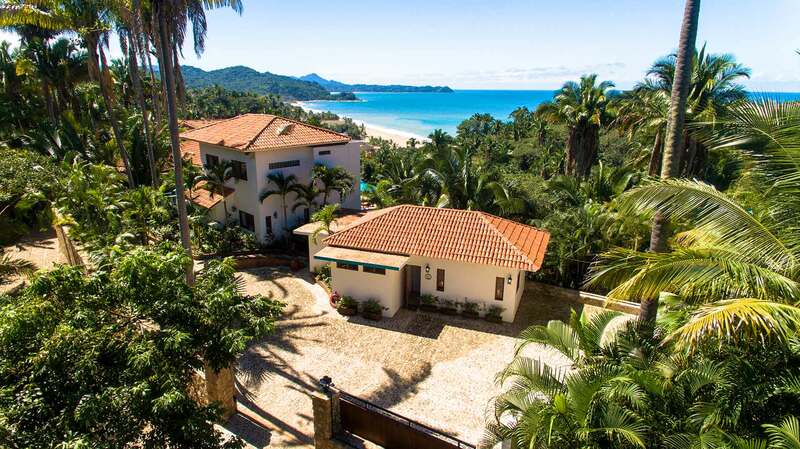 Villas Catalina is located at the north end of the highly sought after, San Pancho beach in the Riviera Nayarit, just a quick, five-minute drive to the town center, where you will find a variety of restaurants, mini grocery stores, gift shops, community centers and parks. 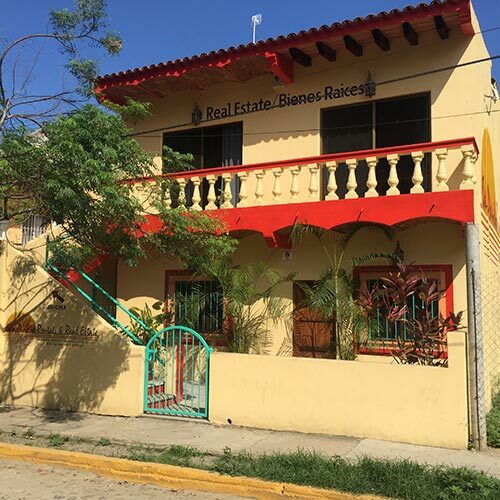 This property consists of five separate units. 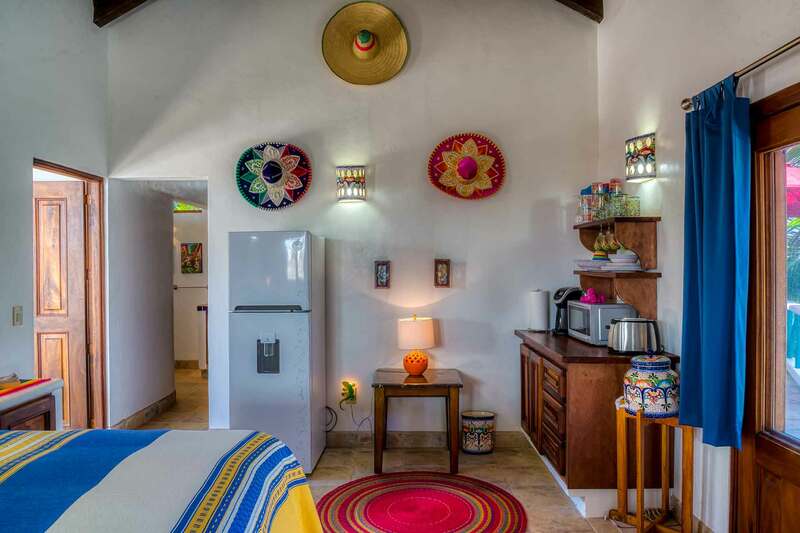 Four of the one-bedroom casitas can be rented individually. 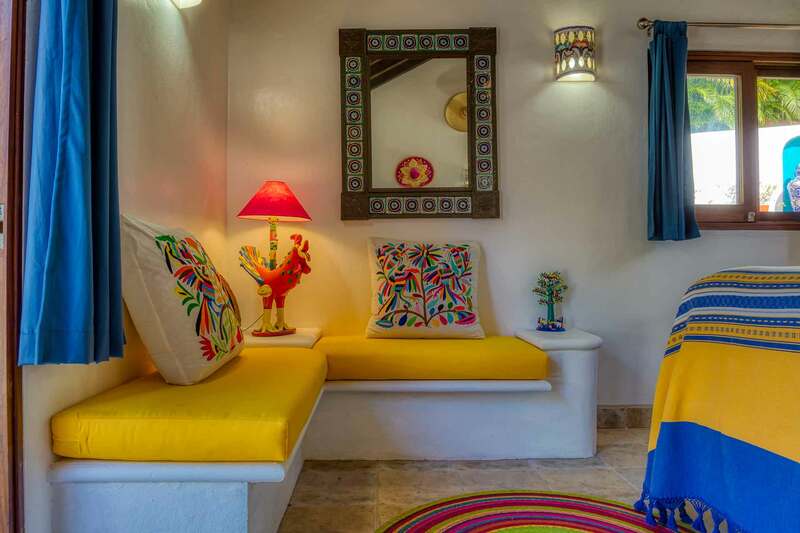 Please see Casita Tammy, Casita Avery, Casita Noelle and Casita Jamey for more information. 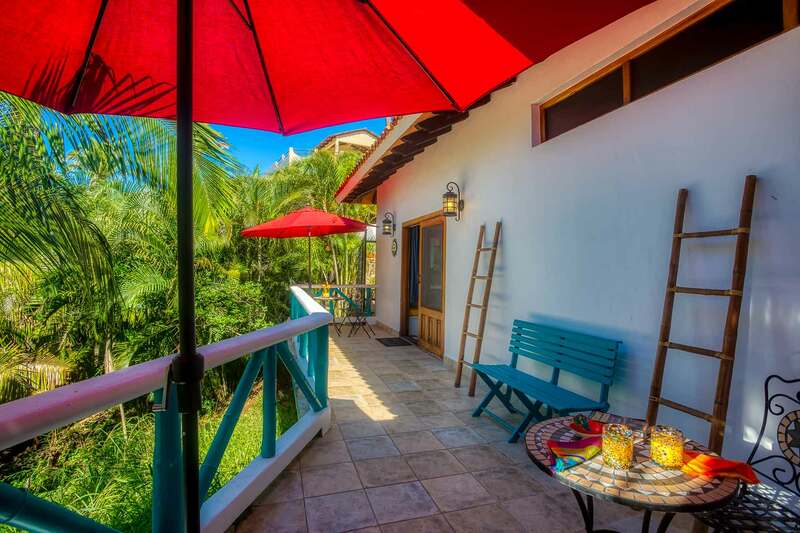 The main unit is not available for rent and may be occupied by the homeowners. 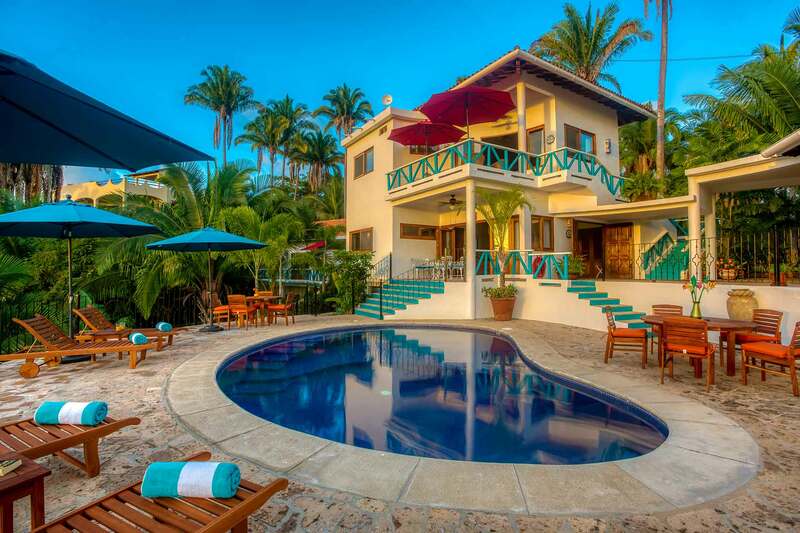 For more information about renting the four casitas together as the four-bedroom complex, please view Villas Catalina. 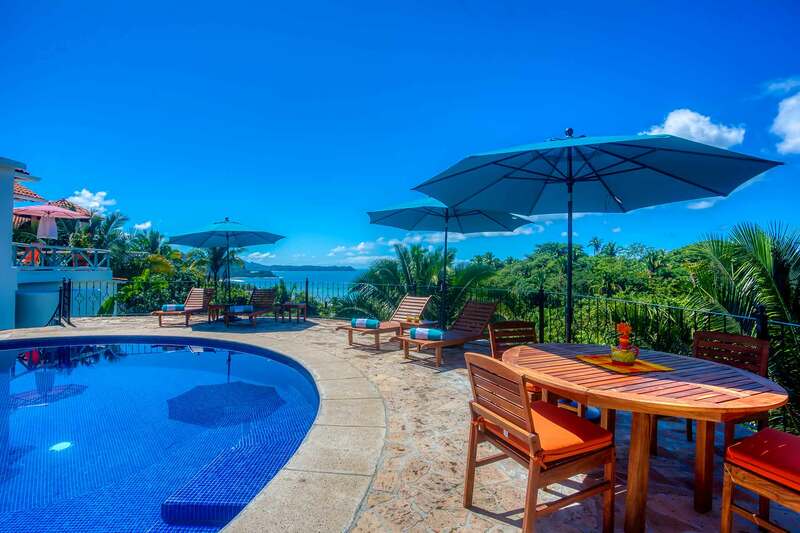 For inquiries and reservations, please fill out a rental request form. 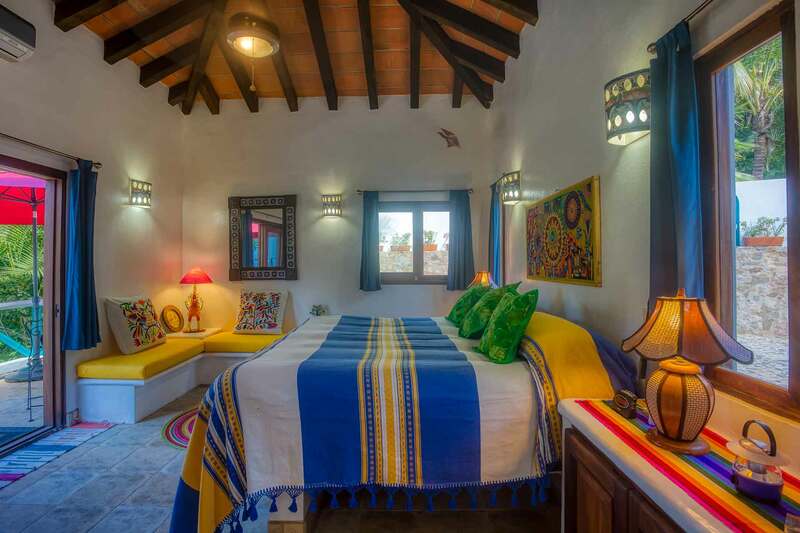 Until confirmed, rates and nightly minimums are subject to change without notice. 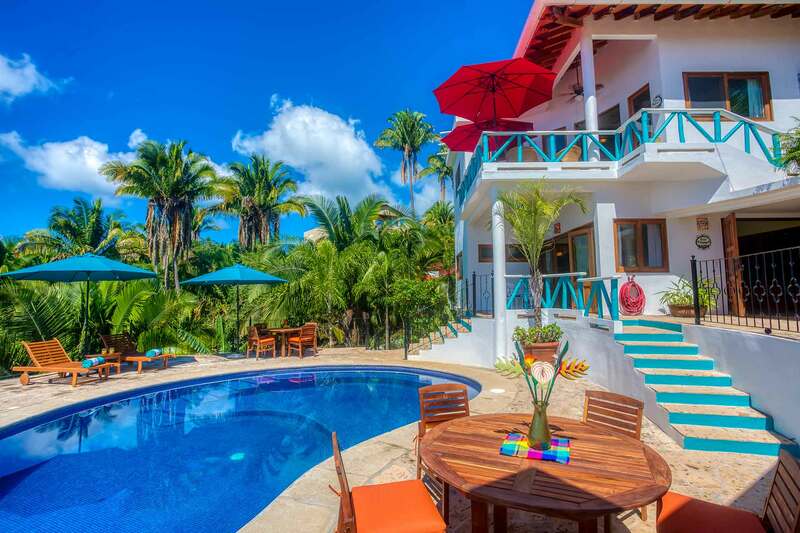 December 15 – January 8: All units must be rented together. 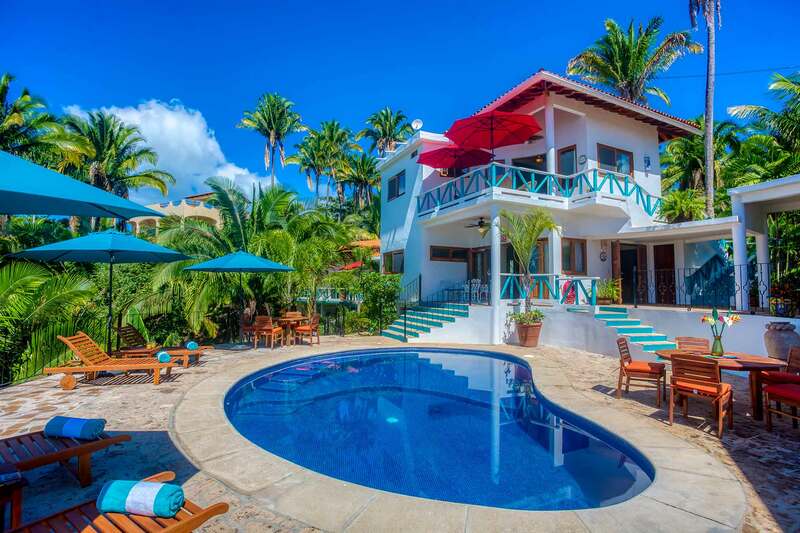 Please see Villas Catalina. 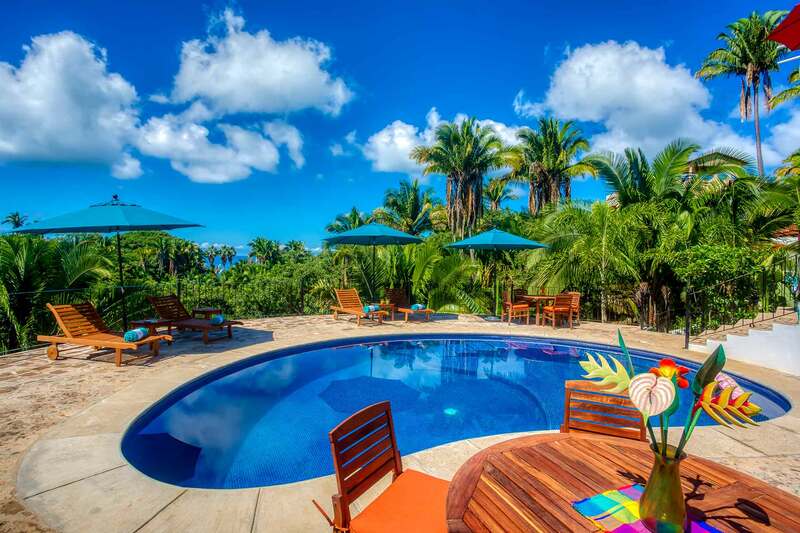 Subscribe to our mailing list for updates & exclusive offers!